War time journalist, Danny Kellerman receives a letter in the mail from an ex-lover. Her name is Maria Consuela Tirado. Maria worked in Africa as an aid worker. Inside the envelope is a note from Maria asking for Danny’s help. Unfortunately as Danny is reading the letter, Maria is already dead. Danny books the first flight out of London to Africa. He has to know what happened to Maria. Once in Africa, Danny is greeted by an old friend, Kam. When Danny learns that Maria was murdered, his reporter instincts kick in. Danny is on the trail of one of the biggest stories of his career. Mr. Harris’s experience as a journalist covering the Sierra Leone war in Africa really was the meat that made The Secret Keeper so wonderfully good. His first hand knowledge of basing this book on what he saw, really made this story come alive. Instantly, I was transported to Africa…following in Danny’s footsteps every step of the way. This book switched back and forth between the past and the present and it did it very well. Mr. Harris put real emotions to his characters. They were not one dimensional. 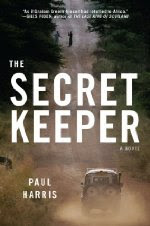 Anyone looking to read a really good book that has adventure, romance, great characters, and a author who knows how to write…then you have to check out The Secret Keeper by Paul Harris. 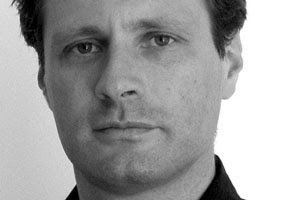 Paul Harris is currently the US Correspondent of the British weekly newspaper The Observer, the world’s oldest Sunday newspaper. He has held the post since 2003. Prior to that he reported from Africa for the Daily Telegraph, the Associated Press and Reuters. He has covered conflicts and trouble spots all around the world, including Iraq, Sudan, Burundi, Somalia, South Africa, Zimbabwe and Pakistan. In 2003 he was embedded with British forces during the invasion of Iraq. The Secret Keeper was inspired by his reporting on events in 2000 in Sierra Leone as that country’s long civil war came to an end. Paul now lives in New York and is happy to have swapped the dangers of the front line for the less obvious perils of writing about American politics and culture. To Enter to win a copy of this book, you can go here and remember to use this pin #5852. You have to hurry to enter as this pin # is vaild for only 36 hours from today's date.